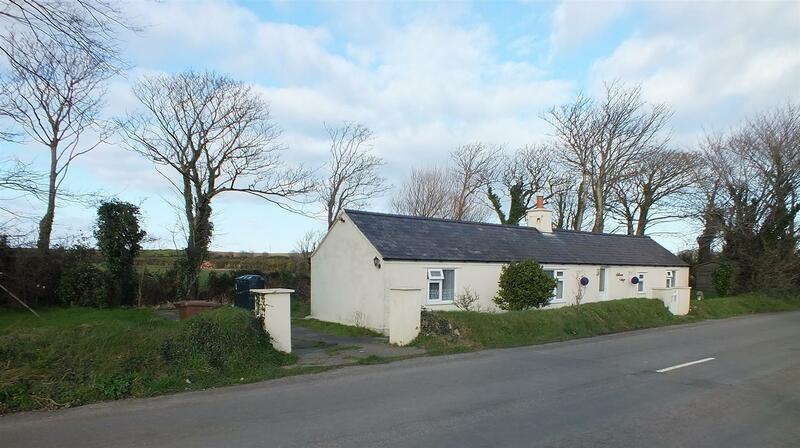 A Detached Single Storey Manx Cottage in a Rural Location Enjoying Stunning Views. A Short Drive from Ballaugh Village and Ramsey Town Centre. Bright & Spacious Accommodation, Neutrally Decorated Throughout. Lounge with a Dining Room/ Double Bedroom Off. Conservatory & Kitchen. 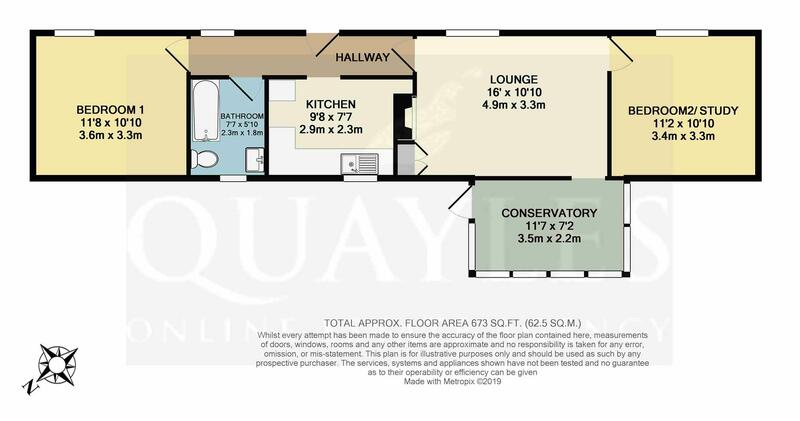 Further Double Bedroom & Bathroom with a White Suite & Shower Facility. Set on a Generous Plot with Driveway Parking for up to 4 Cars. Lawns to Either Side with an Enclosed Seating Area to the Rear. 2 Wooden Garden Sheds & 'Thie Veg'. Travel out of Ramsey town centre along Bowring Road taking the next left turn onto Jurby Road. Continue along passing through the crossroads at St Judes and Sandygate where the property will be found along on the right hand side being clearly identified by our For Sale board. Part obscure glazed uPVC entrance door. Front uPVC window. Cupboard housing the consumer unit and electricity meter. Close boarded ceiling. Coat hooks. Power points. Laminate floor covering. A spacious room with stunning mountain views via a deep set uPVC window. Open grate fireplace with a rustic wooden surround. Deep shelved fireside cupboard with four power points inside. Close boarded ceiling. Smoke detector. Clear opening to the conservatory. Door to study/ bedroom 2. A double size room which also enjoys the mountain views via a deep set uPVC window. Close boarded ceiling. Power points. Of uPVC construction on a low wall base with a tinted polycarbonate roof. Enjoying fabulous rural views with plenty of opening windows and a door to an enclosed seating area. Wall light, radiator and tiled floor. Fitted with a modern range of glossy white fronted wall, base and drawer units together with laminate work surfaces incorporating a stainless steel sink. Space for a fridge, free standing cooker and washing machine. Tiled splash back. A deep set uPVC window offers rural views. Close boarded ceiling. Oak effect laminate floor covering. Fitted with a white suite of panelled bath with an electric shower over, WC and pedestal basin with a tiled splash back. Close boarded ceiling. Deep set, obscure glazed uPVC window. Mirror fronted cabinet. Laminate floor covering. A double room enjoying mountain views across the fields opposite. via a deep set uPVC window. Ample space for a double bed and free standing furniture. Close boarded ceiling. Power points. To the front of the property is a small garden bound by a natural Manx hedge with a gate to the front door. To the right is a good size lawn with two wooden sheds, directly behind is an enclosed seating area and to the left side is concrete hard standing which provides comfortable parking for up to four vehicles. In addition, is a further lawn with an old 'Thie Veg'. Mains electricity and water. Private drainage. Oil fired central heating and uPVC double glazing.